Toggle over a word to see a description; click on the word for even more information! We serve large, medium and small businesses. Every website that is designed looks unique,it is our desire to convey the personality of each client or product. All websites are responsive, this allows your website to be fully functional on mobile and web devices. A major advantage of using a Content Mangement System is that it requires almost no technical skill or knowledge to manage. 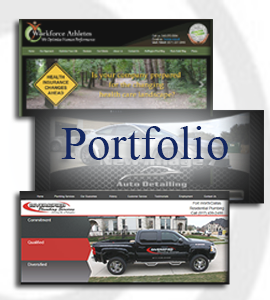 Custom Web Design utililizing Joomla, WordPress and Sharepoint systems available. Call today to have a content management system web site developed for your company. Web sites are not created in stone. They can be changed, enhanced, and redesigned to meet the needs of your business. Updates are a reality for any website. We pride ourselves on being available and are always listening and responsive to your needs. Call us today for a quote. Web2dx Web Designs by Sarah Albright offers simple self-administering shopping carts that are PayPal compatible, Authorize.net compatible and self-administering carts that will work with several payment gateways. We have a solution that will help you with your online needs. Our team will provide your business with Web site consulting, design, development and maintenance, it is crucial to ensure your site is running smooth and is available at all times for your visitors. Web hosting from only $6.99/mo! Our secure, reliable web hosting plans feature unlimited bandwidth and free software. Quality Texas Domains & Hosting Services. Priced right today!